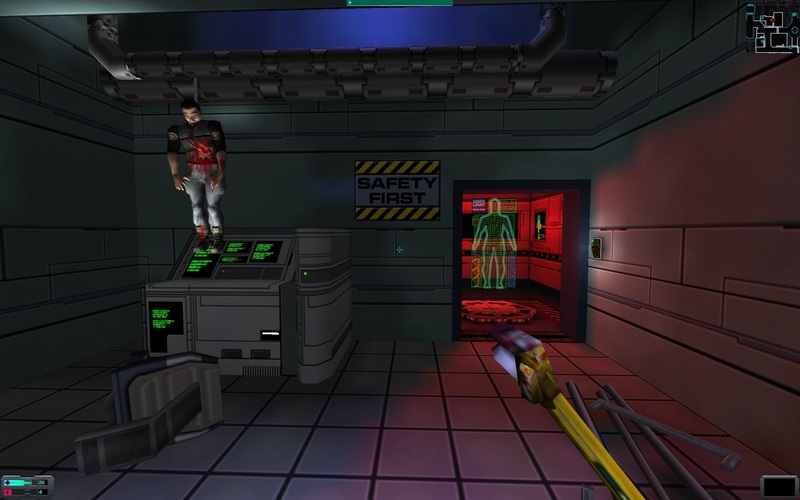 The idea that player choices in computer games can have consequences generated by the game in reaction to those choices is not a new or outlandish concept. In a way, that's the core of the feedback loop behind all computer games. A choice and its consequence are usually jammed as closely to each other as possible. In first-person shooters, things start to happen on-screen as soon as you pull the trigger. The action/result loop can be even shorter in fighting games. What happens, though, when choices and consequences are separated in time? 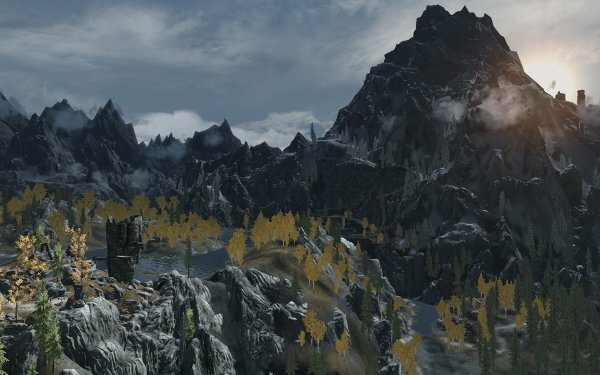 What's the effect when the player performs some action or actions, and there's a consequence that pops up unexpectedly (but plausibly) from what the player did in the past? A jack-in-the-box is a trivial example. The "jack-in-the-box effect" of older tanks bursting explosively after their ammunition was hit has a similarly short-term action/result connection. But computer games can make the jack-in-the-box effect more surprising. When a game presents the consequence some time after the player's action, the experience is less "I made that happen just now" and more "Hey, this game remembered what I did!" Doing more to let games appear to remember player actions over longer stretches of in-game time is something I'd like to see used more often. This could go in a couple of ways (or both). One way is to let individual player actions be pretty trivial and pass without any special results, but respond to some preset level of accumulated related actions. 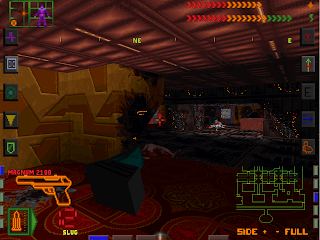 Getting an achievement for shooting 500 opponents is an example of this, as is being granted access to previously gated content after raising "faction" with some in-game NPC organization. In this mode players usually know exactly what they're doing and what they'll get. And that works for conventional follow-the-rules games. But wouldn't it be interesting not to reveal all the possible player actions that the game can observe and count, or the reactions of the game to certain combinations of accumulated player actions? This might not be a good fit for conventional "you play it to beat it" designs -- players who enjoy those games will probably find surprises frustrating, rather than pleasant, and developers of such games generally don't like player creativity. Unexpected results for additive actions might be a very good fit, though, for a game where much of the pleasure is in the exploration of the gameworld and its internal systems. The other way of "remembering" player actions is simply to set a flag for specifically detectable individual actions, then test that flag sometime later and trigger a consequence if the flag is set. This approach is often seen in computer roleplaying games. In Bethesda's Fallout 3, for example, the game plays out in slightly different ways depending on whether you choose to detonate the warhead in Megaton. A somewhat more exotic example is the way that your choices for Commander Shepard in the first and second Mass Effect games, as preserved in your final savegame files, are reflected in minor options in the second and third installments if you let them start by reading the previous savegames. The important thing about consequences for one-off player choices is that developers almost always want to plant big flashing neon signs around it: "Look! Important Choice Here! This Will Have Consequences!" That's not always a bad thing. In a typically mechanics-driven game where it's considered wrong to ever let the player be confused about anything, signposting an important choice simply meets player expectations. Not flagging such choices might be OK (at least sometimes) in a more exploratory game, though. Part of the fun of exploration is figuring things out. This is why puzzles are common in games where the developers want to encourage exploratory play. In both of these cases it's a good idea to be up-front with players that choices they make may sometimes have important effects later on in the game, and players won't always know when they're making such a choice. Developers should be honest about this so that prospective players who absolutely hate not being able to control all outcomes understand that this may not be a game they'll enjoy. If that's done properly, then letting some actions have unexpected (but plausible!) consequences later could be a lot of fun for players who do enjoy interesting surprises. Overall, I'm very happy to see games like Proteus and SoundSelf being made, and I'm looking forward to seeing how they evolve. 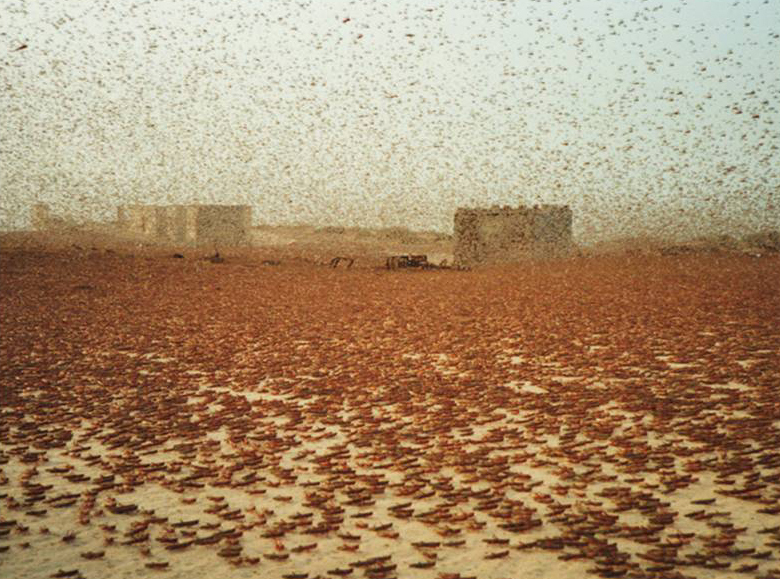 Where Did "Content Locusts" Come From? The term "content locusts" came up today in a Google+ post by Richard Bartle discussing the direction of "free-to-play" online games. This term content locusts has come into use as a shorthand way to decribe the phenomenon that, when a new computer game (especially a multiplayer online game) is released, there is a sizable subset of players who will begin playing that new game as soon as it's available, try to experience its primary content as rapidly as possible, and then move to a new game. The notion is that these players are like locusts -- they swarm a new game, buzzsaw through its content, and then fly away (often complaining that the game was "too short" or "too easy"). I remember having mentioned a few years back that the Achiever Bartle Type was most closely related to this behavior, mostly because the behavior seems keyed directly to the Achiever motivation that "game" means a challenge to be beaten. That got me thinking: what was the earliest use of this term? There are several forms of the basic idea. The earliest mention I could find of "locusts" in the context of computer games was a comment by "Wolfshead" (saved by Google on May 29, 2004) describing player guilds in EQ: "The EQ Devs were caught off guard by the tenacity of the uberguild phenomena. These guilds consumed content like locusts and in many cases actually tested major encounters." The next mention showing up is by Mike Sellers at Terra Nova on June 13, 2005: "As far as I know instancing has been introduced to reduce the immersion-shattering practice of camping, lining up for spawn points, and seeing popular dungeons or hunting grounds having been essentially clear-cut by roving locust-like bands of players." The first reference I can find that specifically links content, locusts, and Achievers was my "Will The Real Explorers Please Stand Up?" blog entry (inspired by the Terra Nova discussion of the same name from January through July of 2005): "Achievers tend to become bored quickly -- like locusts, they swarm to a new game, burn through anything resembling "content," then zoom off again to consume the Next Big Game." According to Google, the first use of the specific term "content locusts" is in the "Time flies when you're having fun" post by Isabelle Parsley (AKA Ysharros) at the Stylish Corpse blog on November 24, 2009: "It takes work to provide a smorgasbord of content that the content locusts can NOM NOM NOM their blind hungry way through, but that the … let’s call them content slugs can enjoy much more slowly and completely." Finally, the use of the term "content locusts" that ignited its widespread usage appears to have been the "Content Locusts Killed My MMO" article by the very same Isabelle Parsley at MMORPG.com on January 27, 2012: "I like to blame the content locusts for this, at least to a large extent – that small percentage of players whose goal isn’t to experience content but to consume it as fast as possible as they race inexorably through a game." Following that article, 2012 was littered with uses of the phrase "content locusts." And the design of SWTOR seems to have been directly related to how quickly the term entered general usage -- it's what most people who used the term were talking about. Assuming anyone else is intrigued by this kind of linguistic archeology, can anyone else find earlier expressions of this idea?